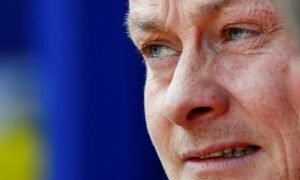 Mourinho ready to axe trophy-laden Man United stalwart, Euro giants very keen on deal | The Transfer Tavern | News, breakdown and analysis on all things football! With Jose Mourinho firmly through the door at Manchester United, the Red Devils propping up the bar in the Transfer Tavern have begun dreaming in wide eyed wonderment. Now Eric Bailly has arrived at Old Trafford and Zlatan Ibrahimovic is thought to be nearing the same, attentions have been turned to who the self-proclaimed ‘Special One’ will axe from his squad. According to Turkish outlet Fanatik, Ecuadorian defender Antonio Valencia could be amongst the first big name to fall victim to the Portuguese’s cull. Galatasaray, who are understood to have tried to lure him to Istanbul last summer, have reportedly been given the green light by movers, shakers and decision makers at the Theatre of Dreams to try once more. 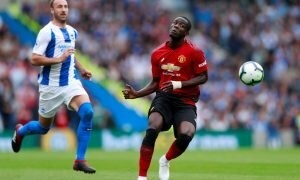 Having joined from Wigan in 2009, the 30-year old emerged as a powerful winger under Sir Alex Ferguson, though has largely been shifted into a right-back berth in recent years. While he boasts the necessary pace and power, his suspect defensive positioning will surely no stand him in good stead with a serial organiser such as the 53-year old. How has Valencia remained first-choice right-back for SO long?